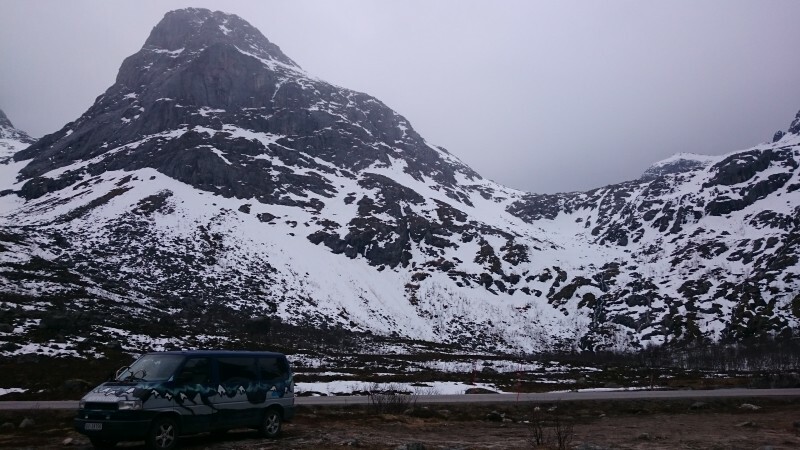 I hesitate to use the term ‘Wild Camping’ for what Mr B2 and I did for 9 nights in Norway. To my mind wild camping involves not much more than a tent, a rucksack and a beautiful but lonely spot. 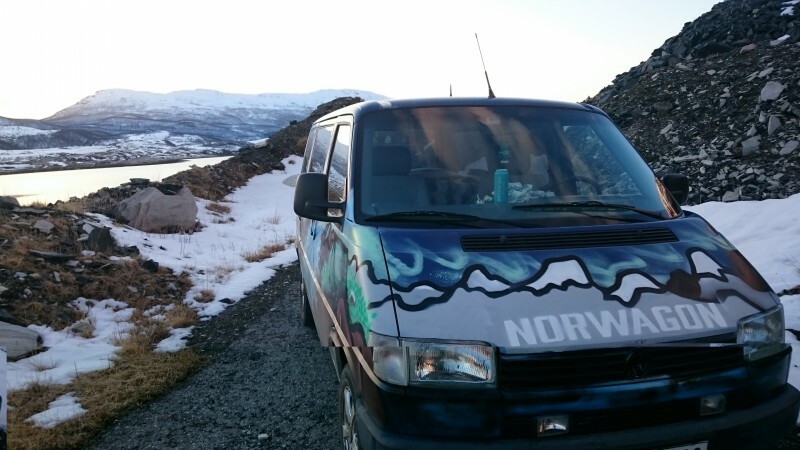 Camping (of any sort) with a camper van was new to us on our trip to Norway so I didn’t know what to expect (Mr B2 didn’t know what to expect either but only because he didn’t know where he was going). I did however do some Blonde research (of course) before we went and found out that wild camping (the tent/rucksack kind) is entrenched in Norwegian law and the right to roam referred to as the Allemannsretten or ‘all men’s right’. I didn’t think to ask whether women had that right as well but then we didn’t take any tents. I have chosen instead to call what we did ‘free camping’ as they do in New Zealand. 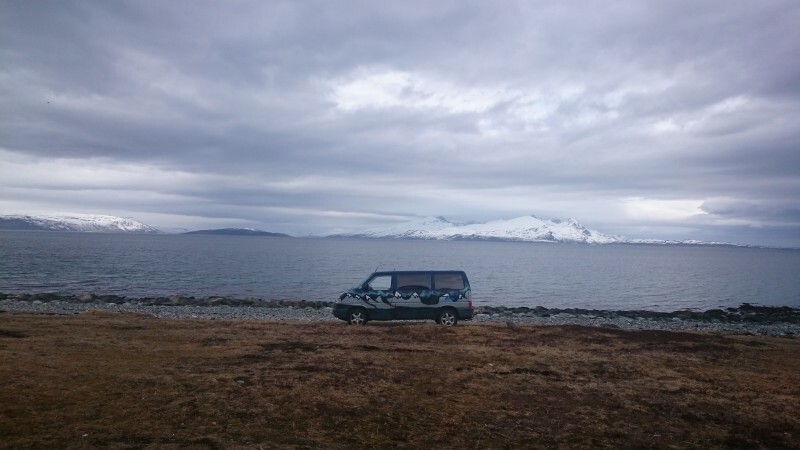 This is not so clear cut in Norwegian legislation but in practice it is common practice to pull over into roadside, beach or mountain car parks and stay for the night. When you start to get a feel for the journey times in Norway you can see why this might be a necessity. For us the free camping was a necessity because many of the campsites were still closed but also a challenge, one in which, after the first night, we revelled. 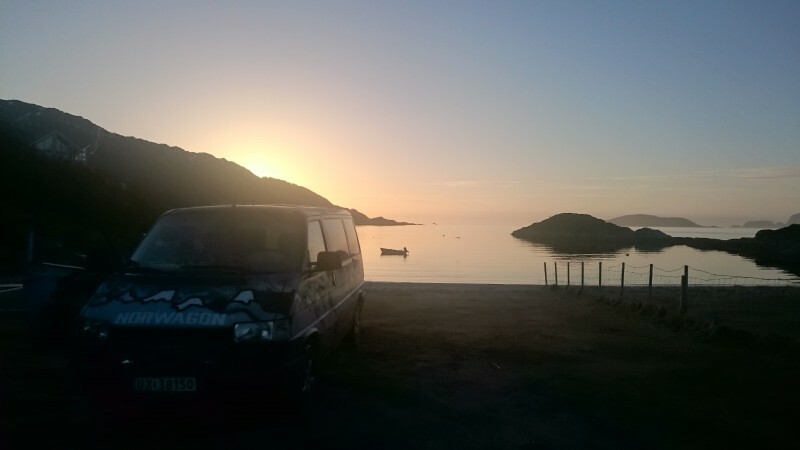 We camped (in broad daylight because of the midnight sun) in roadside car parks, at the top of fjords, next to beaches, almost on beaches and in the car park at Nordkapp. Nobody bothered us and there wasn’t a single night, even our last night within 20 minutes of Tromso’s airport, when we didn’t have astounding views. 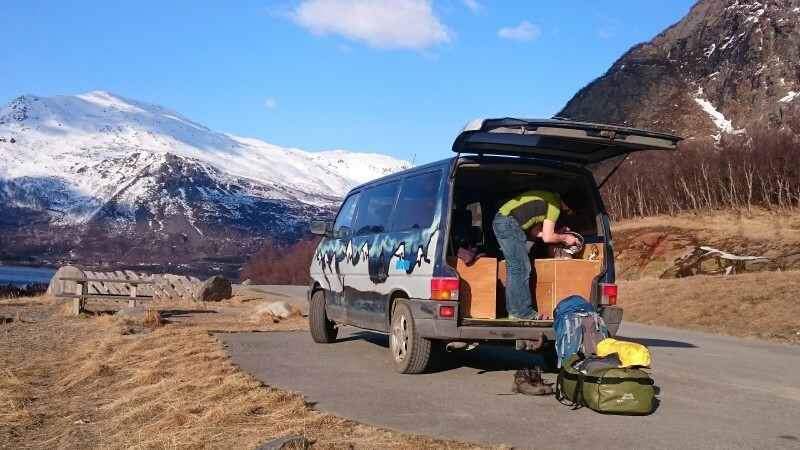 Mr B2 and I have done this in the UK in our Hilux Surf, less a camper and more a truck but with room for two to lay out if we pile the gear in the front. However sleep is more evasive in the UK because (and I am generally a rule keeper) there is always that worry that someone is going to come along and tell you off. There is one obvious reason for this difference, the UK has 650 people per square mile whilst Norway has only has 35 but I am sure that if I dug deeper (and could speak Norwegian) I would find other reasons. Wild camping has become very popular in the UK but opportunities to educate about how to do it properly are diminishing. Whilst the Allemansretten in Norway (and Sweden) will probably last a long time, I have my doubts as to how long the UK countryside will be able to sustain the current (and entirely understandable) demand for ‘wilderness’. You can see can’t you why we intend to go back to Norway again! We visited Northern Norway but this country has plenty to offer further south. How about a trip around the Lofoten Islands?